Are you planning to get replacement windows for your home? Kroll Construction has over 50 years of experience helping homeowners make their homes a better place. 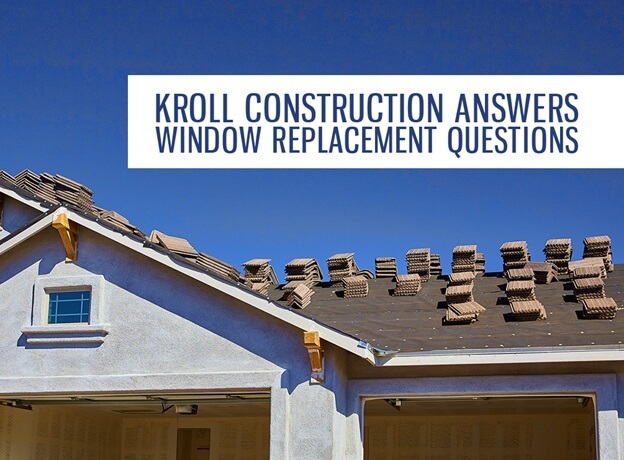 Let our window replacement experts answer some common questions about this project. Hiring an expert in replacement windows in Detroit, like us is a good decision on many levels. Our attention to detail and craftsmanship will lead to a beautiful and perfect window installation. This also ensures that your windows will perform according to its specifications and that you will benefit from the warranty. We are also up to date on local building codes. Lastly, we’ll be able to make design suggestions to help you determine the best window type for your needs. Our replacement windows in Michigan make for an excellent investment because they begin paying for themselves right away. You can expect a decrease in energy consumption for cooling and heating your home. Our vinyl windows are also maintenance-free, saving you money on caulking, painting, and maintenance. They also improve your home’s curb appeal, adding value to your home. What are the features of an excellent vinyl window? As a specialist in windows in Detroit, we know the features of a high-quality window. Our Alside® windows have fusion-welded corners for a weathertight construction. Alside also uses premium vinyl extrusions for long-lasting performance and beauty. They also have a steel-reinforced sash for rigidity and strength. Interlocking meeting rails and thickset multi-chambered extrusions increase the structural integrity and insulation of our windows. Finally, it has multi-layer weatherstripping for excellent thermal protection. Kroll Construction installs beautiful, durable, and high-quality replacement windows from Alside. Their windows deliver unmatched energy savings, beauty, and strength. They custom manufacture our windows to precisely fit your current window openings, ensuring minimal air leaks and a smooth installation. Call us at (888) 338-6340 to learn more about window replacement. You can also schedule a free in-home consultation.